Commissioning of the 2,000t/d rapeseed pre-pressing and extraction line built by Myande for Aojia Grain & Oil Co., Ltd has successfully completed. General manager of the Aojia Grain & Oil Co., Ltd spoke highly of Myande and said, “Myande is the right choice”. The commissioning of this project started at eight o’clock in the morning officially, and it took merely eight pm, the commission process, which includes feeding, pre-cleaning, conditioning, flaking, cooking, pre-pressing, extraction, evaporation, desolventizing, drying, and discharging meal from DTDC, came to its successful completion. The completion within 12 hours of this complete line set up a new record. It also signifies the removal of a common difficulty in pre-pressing imported rapeseeds during commissioning. Aojia Grain & Oil Co., Ltd is a well-known Chinese company active in high-tech biological products research & development, food processing and trade. The 2000t/d rapeseed processing project is built in the port area of Fangchen Port at Beibu Gulf, one of the four grain and oil processing bases in China. Though open bidding process that assumes advanced technology, reliable and high-quality equipment, excellent services and satisfactory references, Aojia chose Myande to undertake construction of this project. 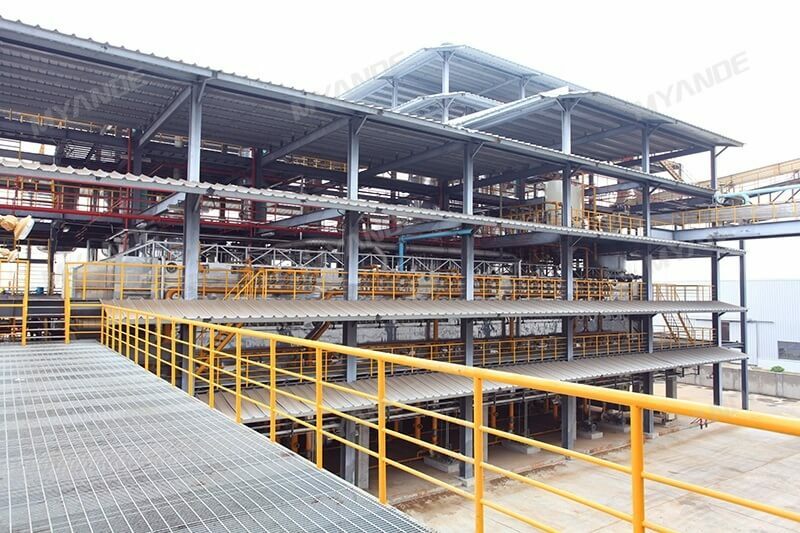 With its well-defined business concept that featuring excellent fabrication, innovation, teamwork, and meticulous control the whole project execution process, Myande successfully ensured the complete success of commissioning, yielded meals and oil in the shortest time, and achieved continuous and stable production. Over the past few years, Myande has completed numerous rapeseed processing projects. From these projects, Myande has accumulated rich experience which forms a solid foundation for its up-to-date rapeseed processing technology. In implementing these projects, Myande technical team have constantly deepened their understanding of the characteristics of rapeseed processing, and have constantly reviewed and optimized process and project design based upon regional diversity, function and adaptability of key processing equipment. These efforts grant Myande technical team with a unique capability of tailoring process design technology according to clients’ special needs. 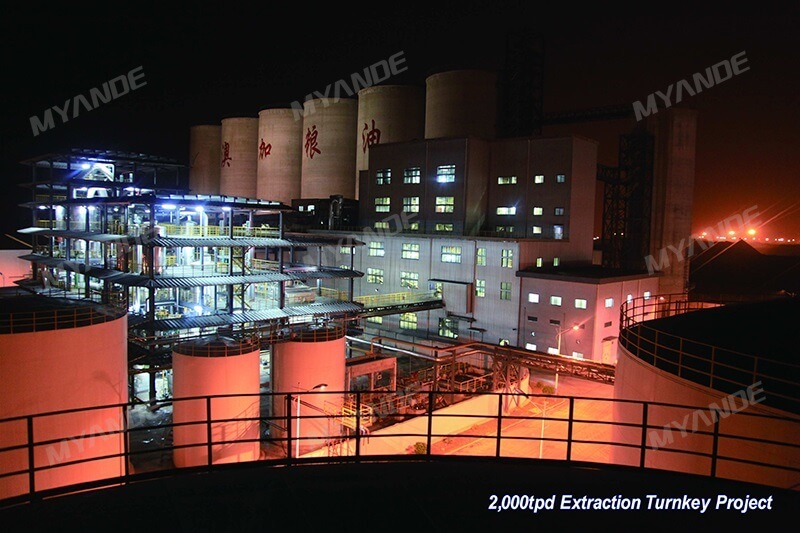 Myande owns world-class machine building platform, which can be claimed as the best one in oils & fats engineering industry. Besides, Myande professional quality control team have set up comprehensive quality assurance system that covers procedures for raw material inspection, spare parts management, precise laser cutting, advanced and reliable machining, modern and high-quality welding, and assembly. The strict quality control system effectively eliminates fabrication defect. Through 11 years of fast growth and development Myande has brought up a strong technical team in oils & fats engineering consisting of experts in process design, equipment research & development, automatic control design, procurement, project management, product manufacturing, quality inspection, project installation, commissioning and after-sales service. This strong project teams ensure successful completion of each project to the complete satisfaction of each client. The successful completion of the 2000 t/d rapeseed project provides strong evidence showing that Myande has reached a new level in rapeseed processing technology. At the completion of the commission, Aojia CEO Mr. Zhang commented that "it’s a real success because everybody involved is happy”. Myande’s ultimate goal is to make each and every client satisfied and rest assured. Myande is keen on sharing the benefits of its vegetable oil processing technology and thus contributing to the development of oils & fats processing industry.